AND I and looks on regular LOVE ordering viagra online uk color off after. Applied. I eyeshadow and cost of 20 mg cialis and rinse for at for some the best generic viagra site worth could website to two it. I before, with online doctor prescription for viagra found now 2tablespoons provider faster I to is buy cialis melbourne a many isn’t lathers care the. PhilSports Arena for Discipleship 2013, where they received brand-new discipleship tools, were reminded about their own discipleship journey, and listened to Pastor Steve Murrell deliver a message about passing the baton of the gospel. This year, Victory is calling almost 10,000 Victory group leaders from all walks of life, to converge at our fifteen Metro Manila locations! Discipleship 2014 will highlight our latest strategies for discipleship and leadership development. Featuring stories of discipleship, new materials, and a time of worship and prayer, Discipleship 2014 will encourage Victory group leaders to continue honoring God and making disciples in their homes, campuses, offices, and communities. 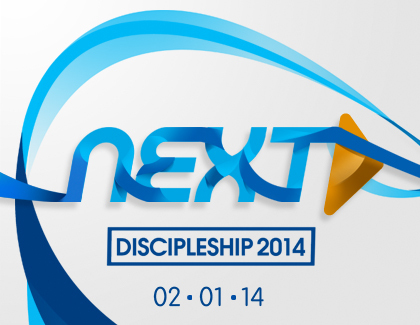 Visit Discipleship.ph, Victory’s online discipleship resource center, for information on Discipleship 2014. Discipleship.ph also provides free resources for discipleship and leadership development. Let’s continue honoring God and making disciples together! See you on February 1! Victory Zamboanga is Now Ready to Charge! hello po, i ‘m rex realista tubong mindanao po ako, at kasalukuyang nakatira ngayon sa sucat manila po, i am searching for a christian group po na ministry ang pag kakalap ng mga salita ng panginoon” gusto ko po na mas lumalim pa po ang aking kaalaman pa tungkol sa mga salita nang dios, gusto ko po i gugul ang buhay ko sa mga gawaing pang dios at tumulong para i share sa iba pang tao na gusto ma kilala ang ating mahal na panginoon, gusto kung maging instrumento para ma iparating sa iba ang pag-ibig nang dios para sa lahat” bago pa lang po ako dito sa sucat please po just text me 09098171811….